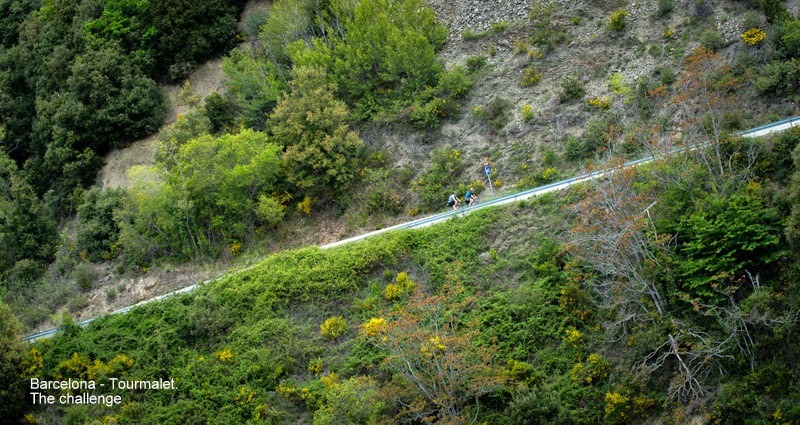 This will be the first real climb in the first stage leading to Viladrau from Barcelona. Coll Formic is an iconic climb in Montseny range of mountains. Pretty close to Barcelona, the highest point in Montseny mountain is Turó de l'Home at 1700 meters. 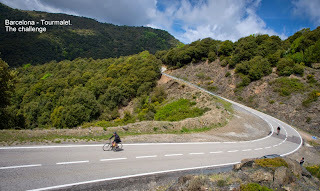 But the nicest road of Montseny is Coll Formic, no doubt. Nice, sunny, solitaire, you can cycle and get to the top (1145 meters) all year long, even in the coldest days in winter. This is a very popular road for all Barcelona cyclists. Way and back from Barcelona is a 140 km route, really demanding, but doable. During our tour we will climb some of the most famous climbs in all of Pyrenees, but Coll Formic is really worth. Such a nice beginning for a route like Barcelona-Tourmalet!